High ratio buyers at highest risk? Schulich School of Business Professor Moshe A. Milevsky argues in his Financial Post column that, as a group, Canadians who purchase with a high ratio mortgage are, as a group, the most at-risk financially. According to Milevsky, most of these homebuyers are not only unable to save money – they are overleveraging themselves by taking on additional credit. High ratio mortgages are a growing chunk of business for many mortgage brokers. According to CIBC World Markets data, released in late 2014, the value of alternative lender loans grew by 25 per cent over the course of the year. And with CMHC recently hiking its insurance premiums by 45 basis points to 3.6 per cent for those mortgages with less than a 10 per cent down payment, many high ratio clients will have more to pay each month. Milevsky also looks to dispel the idea that a house is a proper substitute for a savings account. “The amount by which housing prices would have to appreciate over the next 10 to 15 years to justify negative savings rates — and still leave a decent liquid nest egg for retirement – is staggering,” he writes. “Personally, I can’t get the math to work out even in the shallow (i.e. small mortgage) end of the risk pool, let alone the deep (i.e. big mortgage) end. Drawing conclusions based on generalities and averages is a dangerous business. Everybody who buys a house with less than 20% down is financially irresponsible, unable to save, and destined to spend more than their income every year. This seems to be the message from Mr Milevsky. I agree that people who cannot save or spend within their means should not buy a home, but this does not include all buyers who take a high ratio mortgage. He also discuses the idea that the insurance paid by the borrower protects the bank and not the borrower and while this is technically correct, if you look deeper you realize that the bank is lending out depositor's and investor's money so this insurance really protects them from losses in the grandest scheme of things. Whether you own or rent with or without a mortgage, if you always spend more than you have, you will continue to fall into a deeper hole. I suppose that those individuals that do this say "if it is good enough for my government it is good enough for me". I have lots of clients that are very financially responsible and still cannot come up with a huge down payment but live their life without ever carrying a balance on a credit card and without big car leases and unsecured debt. Like any investment you only realize a gain or loos if you dispose of the investment, so if real estate corrects it doesn't mean everyone is suddenly homeless or bankrupt. Do the math on a 25 year amortized mortgage at current 5 year rates and you will see that over half of your very first payment is principal and it only gets better from there. That is what I refer to as forced savings and while refinancing does occur, those with less than 20% equity cannot refinance (unless they go private). Rent is 100% paid to the landlord yet a mortgage payment is half rent to the bank and half savings into your "equity" account. I would guess that if you looked at all 55 year olds in Canada, those that are homeowners would have a higher net worth than those that are not...it is easier to spend your savings than to spend your equity. I realize that my opinion is biased as I am in the mortgage business, however, I believe in a balanced approach to growing wealth. Buy stocks, real estate, have some cash, and never ever carry a balance on a credit card. Interesting article & comment indeed. In my opinion its not right to generalize the fact that all high ratio mortgages are destined to doom. 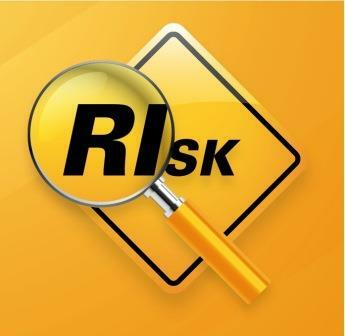 Like any other financial decision, appropriate risk assessment & contingency plan ensures the safety of any investment. Real estate is also the same. When we claim realestate to be the best investment vehicle in terms of better returns, on the contrary the mistakes permitted with this investments vehicle also tend to be a bit more painful.